We offer a range of audio connectors. 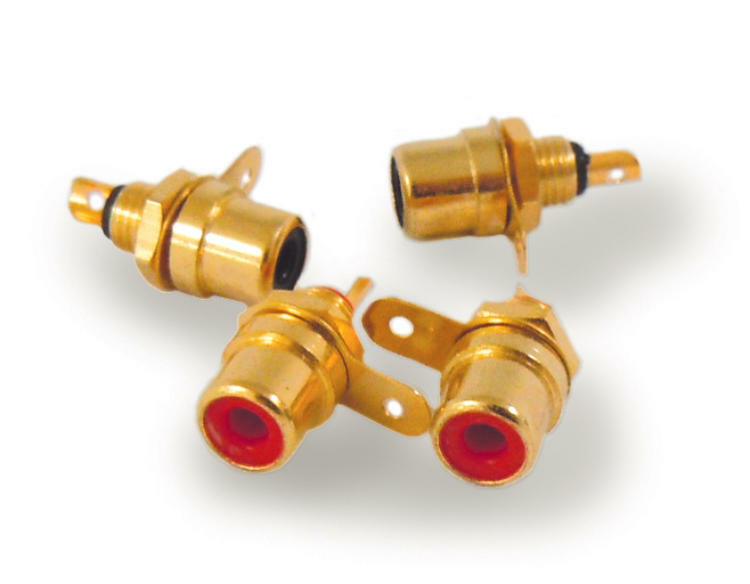 Designed for chassis or PCB mounting these high quality gold plated phono sockets are available in red or black for easy channel identification. Constructed using teflon inserts and metal which has been hard plated for long life, the phono sockets are supplied complete with insulating bushes, mounting washers, nuts and a solder tag. The insulating bushes allow the socket to be insulated from the chassis giving control over earthing and helping to prevent ground loops. These sockets are use in our kits and suitable for use with our Relay Board. Panel cut out: 10mm diameter hole. 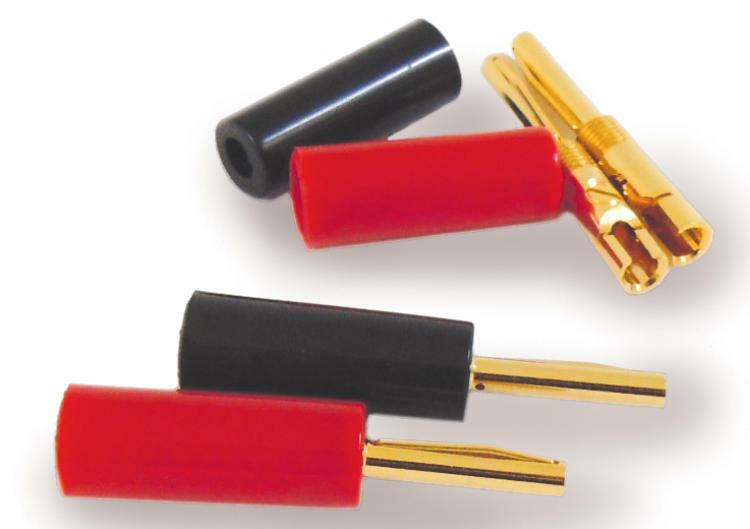 Gold plated with a spring for optimum contact these solderable 4mm speaker (banana) plugs are available in red or black. Sold in pairs (one each red and black). Designed for use with DIY speakers, these binding posts feature removable links to allow bi-wiring or bi-amping. The terminals accept 4mm plugs or spade connectors with solder tags on the rear for connecting to the drive units. 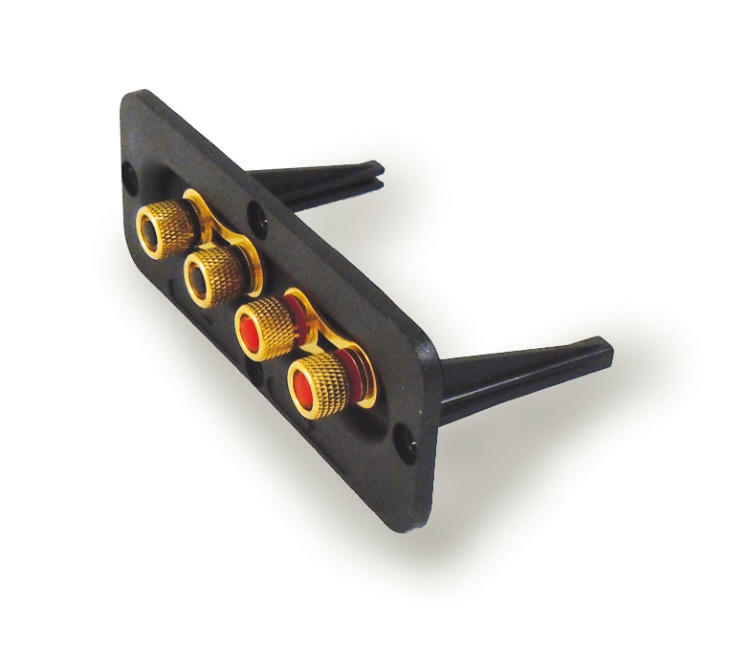 Our high quality insulated terminals come with mounting hardware to allow chassis mounting. 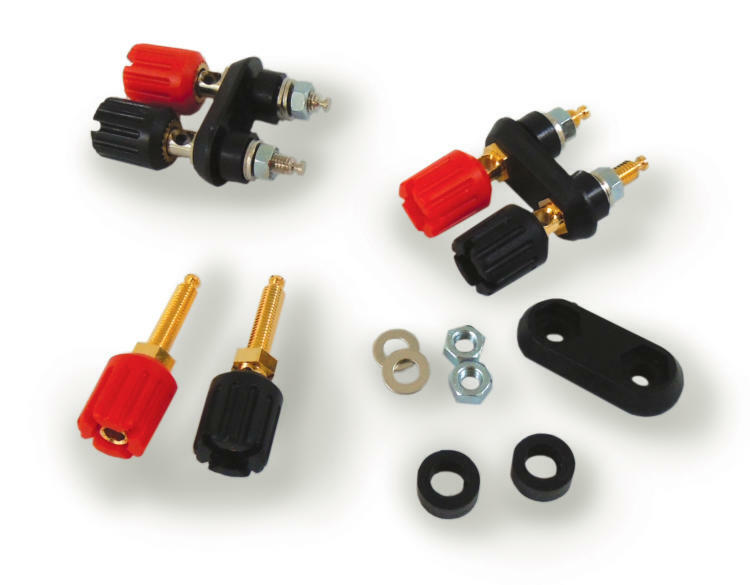 Supplied as a pair (one each red and black) the terminals accept 4mm plugs, spade or bare wire connections. Connection at the rear is made by soldering. Available with or without gold plating.